Tucked away in a quiet corner of Germany lies a company that most of us haven’t heard about, namely, quattro GmbH (yes, they spell quattro in lower case). The name has a familiar ring to it as ‘quattro’ is a throwback to the all-wheel drive technology pioneered by Audi AG. That just so happens to be the relationship between the two companies, in fact quattro GmbH is a 100 per cent subsidiary of Audi AG and they have a special focus which is solely dedicated to the design, testing and production of specialist high performance Audi automobiles. Amongst these special vehicles lies the bloodline of the RS models. enormous potential packed under the hood. The nature of these cars places them on a different pedestal amongst enthusiasts for they also possess the latest and most advanced of Audi technologies. After all with great power comes great responsibility and if you are in the business of making an RS model, then you want to ensure that everything is just perfect. The latest torchbearer to the RS line is the RS 5 Coupe which is built on a tradition dating back to over 15 year and its lineage goes right down to the RS 2 Avant. 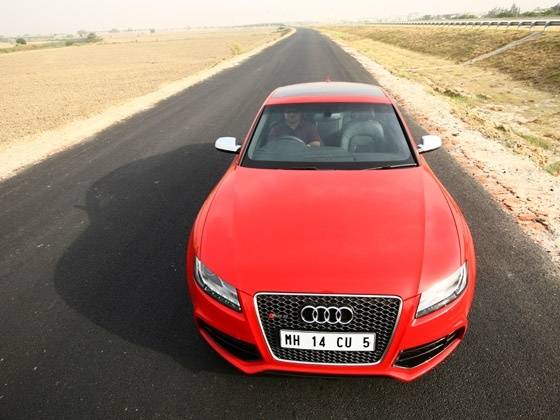 Now available in India, the RS 5 is a four wheeled testimony to this purebred bloodline and truly lives up to being a beast in gentleman’s clothing.